Do You Know Your Carpet Manufacturer Cleaning Requirements? You don’t know much if anything about your carpet warranty, do you? Don’t feel bad, most people don’t. Why? Because your carpet salesman was more concerned with making his next sale than telling you about your warranty……unless, of course, you bought your carpet from the best locally owned dealers, Bockrath Flooring and Rugs in Kettering, Ohio, or Bud Polley’s Flooring in Tipp City, Ohio. “Periodic professional cleaning of the overall carpet is highly recommended. The frequency … may range from as little as 6 months to 24 months between cleanings. Your carpet should be properly cleaned at least once every 24 months to maintain its appearance and useful life. 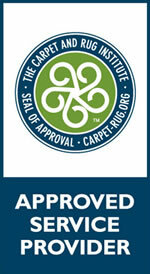 Shaw recommends only hot water extraction (also called steam cleaning), utilizing carpet cleaning products, equipment, and systems certified through the Carpet and Rug Institute’s Seal of Approval Program. These products are listed at www.carpet-rug.org. Warning: non-approved cleaning products and topical treatments… may result in damage to your carpet that will not be covered by our warranty. 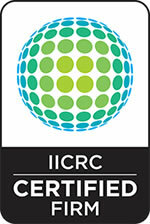 Sonrise Carpet Care is both an IICRC Certified Firm, as well as a CRI Seal of Approval Service Provider. We can help you maintain your carpet investment, getting the most out of the dollars you spent. Give us a call at 937.550.4049 and we will provide you with a Free Floor and Fiber Care Assessment.